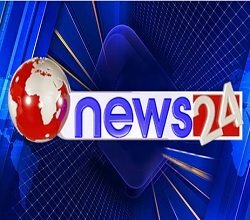 News TV Channel / News 24 Nepal is a nationwide television station that broadcasts news programs. The headquarters is located in Kathmandu. / Avenues Television is a news channel headquartered in Kathmandu. / Himalaya Television is a commercial television station based in Kathmandu, Nepal. / Image Channel is a privately owned television channel headquartered in Kathmandu. / Terai Television is a privately owned television station based in Birgunj (Birganj), Narayani Zone (in the Central Development Region).